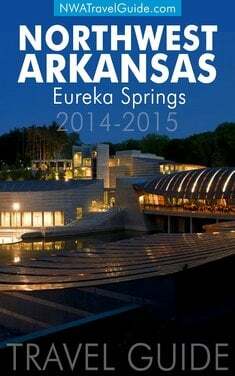 This fun travel guide is filled with all the info you want and need when visiting Eureka Springs Ar. Restaurant, entertainment, shopping, accommodation, attraction and spa listings are included to help you plan your stay and to make the most of your visit. Great Passion Play – America’s #1 Attended Outdoor Drama with more than 170 actors & 20 live animals. The awe-inspiring Christ of the Ozarks is on the grounds of the Great Passion Play. Check it out, it is free to view. Turpentine Creek Wildlife Refuge – See rescued ‘Big Cats’ -. The refuge targets lions, tigers, leopards & cougars. If a sense of adventure runs in your veins, lodging opportunities are available above the Big Cats. Beaver Lake – – Features 28,000 acres of beautiful, clear water perfect for fishing, swimming, wind surfing, water skiing, snorkeling, canoeing, party barge cruising, and house boating. 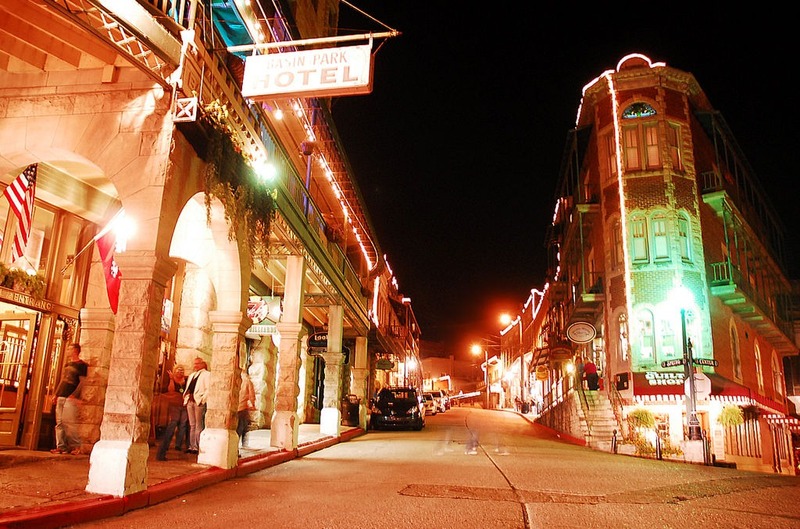 Art & Cultural Heritage Enthusiasts’ Paradise – The National Trust for Historic Preservation – selected Eureka Springs as one of its ‘Dozen Distinctive Destinations’. Take note of the “gingerbread” style of architecture and the local stone construction. Eureka is home to more than 400 artists. See them work in their own studios. Shopping Opportunities – Includes unique boutiques, specialty shops, art galleries, locally made crafts, candy factories, antique shops and unusual clothing stores. 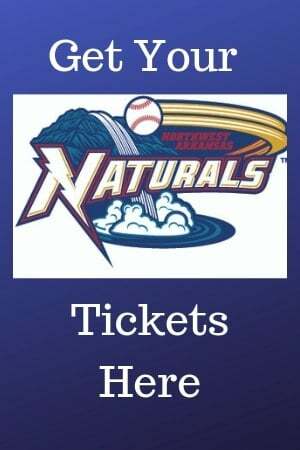 Festivals and Special Events – Diversity Weekends, UFO Conference, Car Shows, Jazz, Blues, Folk, and Classical Music Weekends, Full Operatic Productions, 2nd Saturday Gallery Stroll, and the CICA International Summer Music Festival. **Wedding Capital of the Region – Planning a wedding? Almost every type of Eureka lodging has a wedding package. Consider having your wedding in the one of the old historic hotels or a charming cottage or B & B. There is no better place for a wedding than the scenic Ozark Mountains. Award-winning restaurants – of every description including ‘The Best In The State’ Ermillio’s for Italian are located in Eureka Springs. Top chefs from around the world migrated to this small, beautiful village for its freedom-to-create opportunities. 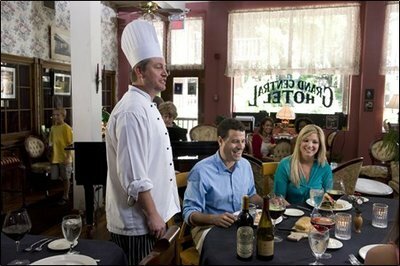 Satisfy your taste buds at one of Eureka’s quaint, out-of-the way romantic restaurants. Bikers and vacationers grab a burger at the Pied Piper Pub/Cathouse Lounge or feast on BBQ from a place called The Rockin’ Pig Saloon. Many visitors from around the region and the world come to this Ozark Mountains resort just to sample the delicious and exciting food offerings served in the Local Flavor Cafe and to stroll downtown Eureka. 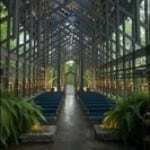 This guide also includes information about Eureka Springs accommodations. You will find old Victorian-era Hotels, which have been completely restored to reflect the grandeur of yesteryear. Our guide also lists Cottages, Cabins, Bed & Breakfasts, and Treehouses. Lodging runs from elegant historic hotels to charming bed and breakfasts to cozy cottages, to cabins in the woods to tree houses built over ‘Big Cat’ country. 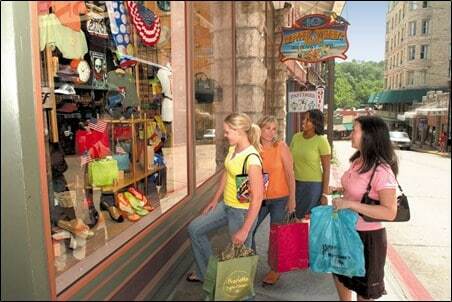 To be sure, you will find the amenities that meet your needs in Eureka, Springs. If you would like more information on this exciting NWA area, be sure to check out the Northwest Arkansas Travel Guide which covers all of Northwest Arkansas (Bentonville, Bella Vista, Rogers, Eureka Springs, Fayetteville, Springdale, Lowell and Siloam Springs).